Before we started traveling full time, we read a lot of travel books. When I wanted to escape, I picked up a book and let the words transport me to exotic lands to have a great adventure. While travelling full time since 2009, we didn't pick up as many books as we used to but it was fun to make our own adventures around the world for a few years. Now that we have slowed down a bit and finally have a home base again, we have set up our reading room, with essential oils, mellow music and soft lighting where we can be transported to another world. It's been exciting perusing the bookstore down the street to discover new books about travel, and it's been fun to revisit some of our favorites. 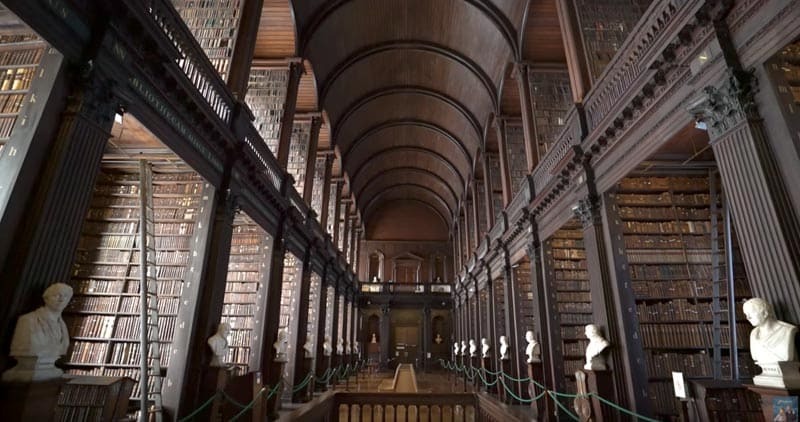 In our opinion, these are the best books for travelers of all types. 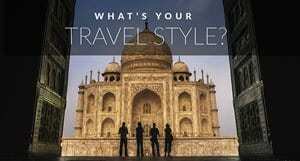 From adventure lovers to luxury, romance and daydreaming, you are going to love traveling the world through words. We've got a link to every one of them on Amazon so you can download for your Kindle or have the hard copies delivered today! Disclosure: If you click the links below and make a purchase from Amazon, we do receive a referral commission at no extra cost to you. We're grateful for your support! If you love adventure, travel and dogs, you are going to love this book. Ultramarathon runner Dion Leonard travelled to China with one thing on his mind; to finish on the podium of a 155-mile race through the Gobi desert. Follow the story of a runner whose heart is warmed by the persistence of a stray dog that kept pace through heat and exhaustion for 70 miles. 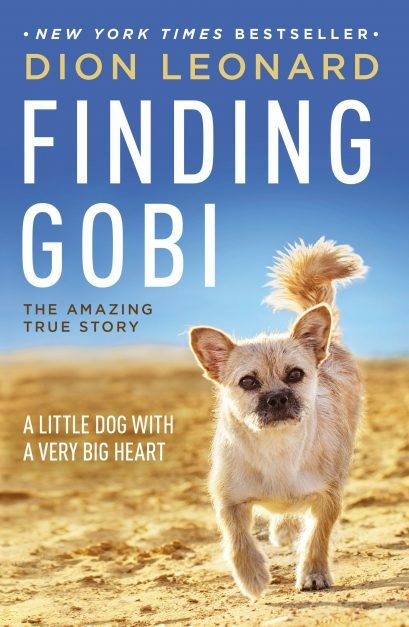 See how Leonard is transformed from focused veteran to a man that gives up what little food he has in his pack to share with Gobi, allows the little guy in his tent for warmth, carries him over rushing streams and eventually creates a bond that may (or may not) last beyond the race. You'll have to read it to see what happens next! 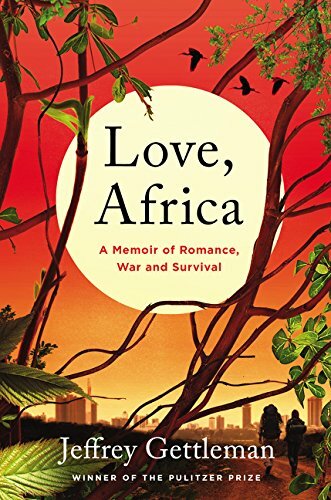 Love Africa is a story about Jeffry Gettleman the East Africa bureau chief for the New York Times. It begins with his first trip to Africa when he volunteered and fell in love with the continent. But he kept being called back to the United States to his other love, his girlfriend Courtenay who is a criminal defense lawyer. Follow his story as he navigates his career as a journalist, to his love for Africa and his true love relationship with Courtenay. Can you have it all? Read the book to find out, because we're not giving it away. Who would have thought that the author of such bestsellers as Jurassic Park, Rising Sun, and Disclosure could also be such an avid traveler? 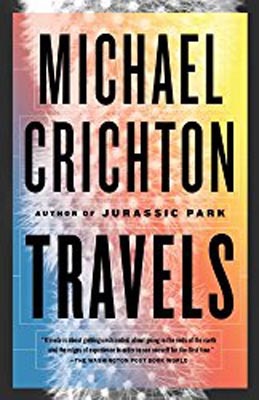 Michael Chrichton's Travels is one of the best travel books we have ever read. It's a collection of memoirs dating back to Crichton's med school days. It was his retelling of his climb up Mount Kilimanjaro that inspired me to always be truthful when writing about travel. People always forget the bad and only tell the good when they get home from a trip. Travel is tough and it is not always fun, but travel will always be an extraordinary experience. A regular American boy, Matthew Polly recounts his time living, studying, and performing with the Shaolin monks in China. This hilarious read starts with Matthew dropping out of Princeton to pursue his dream of transforming his scrawny physique into that of a kung fu master while sharing some humorous insight into Chinese culture. He tells tales of breaking into the secret world of Shaolin and eventually becoming accepted by his Chinese peers, who study disciplines like the Iron Crotch and other various indestructible body parts. Many people know him as a massively talented drummer from Rush, but what they do not realize is that Neil Peart is not only one of the greatest drummers in the history of music, (Rolling Stone has him at #4 in the Greatest Drummers of All time) he is also an avid cyclist. 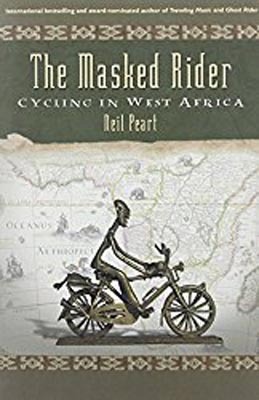 Masked Rider is an honest and undisguised account of his time cycling in West Africa. It is not your average rock legend's journey. He suffers from the usual problems that other poor backpackers face: Disgusting accommodations, heat, exhaustion, personality clashes, and don't forget the inevitable dysentery. Neil Peart lets us see the man behind the rock star and he makes us realize that superstars are people too. 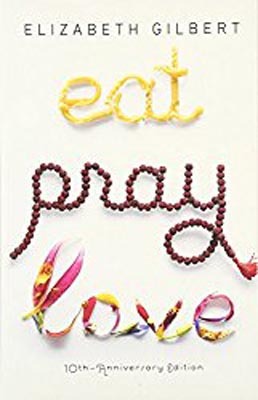 I didn't love Eat Pray Love, but many of my friends did and it was on every bestseller list, so I am not the norm and therefore I feel it should be included. It is the story of Elizabeth Gilbert finding herself after divorce. It's self-indulgent and I hated the part in India, probably because I read it while in India and she gave a sanitized candy version since she spent all her time in an Ashram. But, I do think it is helpful to inspire certain people who have never stepped out of their comfort zone or taken a chance. Considering it's her life, it's an amazing experience. The movie is taking the world by storm and while I haven't seen that yet (it's on my list!) I have read the book and it is excellent. Peek behind the looking glass of the secretive billionaire families that have more money than Vladimir Putin. Crazy Rich Asians takes you into the exclusive world of ultra-rich Singapore families that fly off to Hong Kong and Macau for private parties, and then pop over to Australia on a moment's notice. When Rachel accepts her boyfriend's invitation to spend the summer in Asia she get's quite a shock. As the story progresses, she learns her humble boyfriend is Asia's most eligible bachelor and everyone (including his mother) is out to tear them apart. It's an oldie but a goodie. The Alchemist is the story of a shepherd named Santiago who sells his flock and purchases a ticket to Tangier, where he is robbed and must work at a shop to find his way home. He ends up taking a great adventure across the Sahara and after all his adventures, discovers his fortune right back where he started. I read this book before we started travelling full time and it put me in the mood to wander. It is an inspiring story urging us to follow our dreams and listen to our hearts. I think the Alchemist was the catalyst to me dreaming about making travel a full-time career. If you are looking for the perfect little picture of India and a beautiful homage to its temples and culture, this book is not for you. 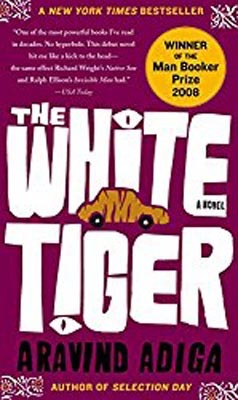 White Tiger tells of a dirty and unforgiving India, an India that doesn't allow people to claw their way out of their Caste. White Tiger's India doesn't have sympathy for the poor or helpless. This is a book that neither of us could put down and a book that we feel needs to be read by everyone traveling to India. Those who have spent their time in an Ashram or driving around the country in an organized tour isolated from the truth won't like it. But, like one review said, "This is the book that India Tourism doesn't want you to read." Let me set one thing straight, I hated the movie, but I loved the book. 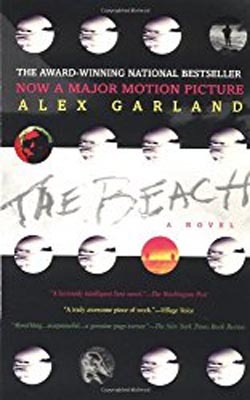 The Beach captures what travel was like in Thailand way back in the 1990's. We traveled to Thailand for the first time in 2000 and it was pretty much like it was described in the book. There were still undiscovered coves and beaches and there were probably several drug kingpins running the land. The Beach is a great adventure. 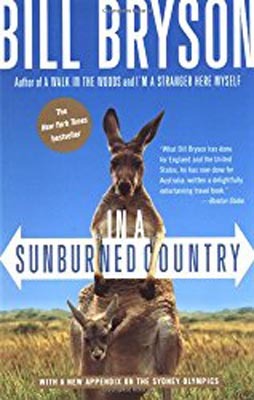 Anything by Bill Bryson is a winner, but my personal favourite is In a Sunburned Country. I laughed out loud while reading this book. Written at a time when the world was still getting to know Australia, it shows the quirkiness of the island country and makes you want to book a ticket to see it for yourself. Read it; you'll fall in love with Australia and have a few good belly laughs in the process. He may be old school, but Dave Barry is hilarious. My friend Dot introduced me to Dave Barry in the 1990s and it was then that my love for travel began. I never thought I'd become a travel writer, but I loved reading about his escapades around the world. 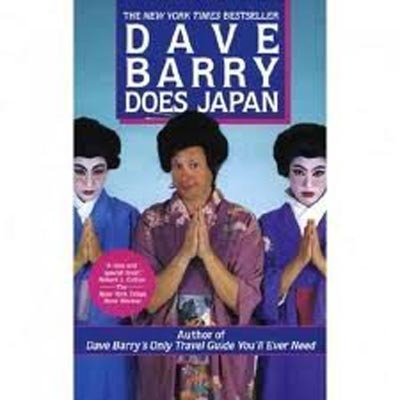 Dave Barry Does Japan is my favourite of his books, as he explains Japanese traditions through humour and experiences at karaoke bars, geisha encounters, kabuki theatre and confusing comedy clubs. Dave Barry is the humour writer I wish I was, but I am content to read his stuff and be happy with where I am. I love this inside scoop from behind the scenes of the rich and famous by Michael Fazio. New York's top concierge shares his stories and secrets from the madness of catering to the elite, from the ridiculous demands to having to get people into anywhere. It's an at times hilarious read. I wouldn't want his job for the world, but it is fun to take a peek inside the secret life of a concierge. 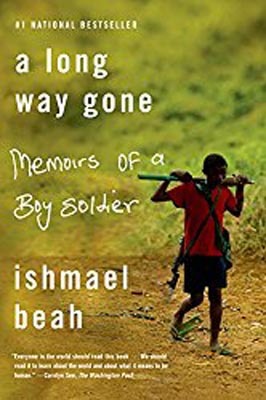 This no holds barred autobiography of a child soldier, Ishmael Beah, is gripping. A Long Way Gone tells how an innocent child can be forced into savage warfare in Sierra Leone. Having lost everything including his family, his home, and his soul, Ishmael tells of his journey to evade the military. For three years he hid in the jungle and half starved to death. It recounts the fear and despair he felt each day until he was finally captured by the government army. Hopped up on drugs, he was forced to commit unthinkable acts. This is a story of going to hell and back, living a life of revenge and violence. He was rescued by UNICEF but it was a long and painful rehabilitation. 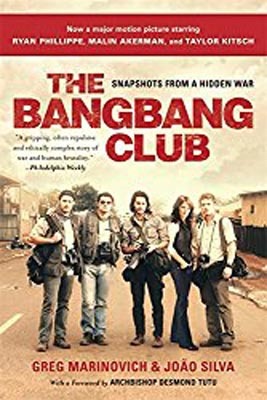 Set in Apartheid-Era South Africa, the Bang Bang Club is a true account telling the tale of the 4 photojournalists that dared to enter the townships and document history as it was happening. Heartbreaking and shocking, the Bang Bang Club doesn't hold back when telling of the brutality of that time. The photographers had to come to terms with their own demons and what they witnessed day in and day out as war correspondence reporters. They were at the top of their profession with their photographs in demand around the world. Their photos made history and set new standards, achieving two Pulitzer Prizes between them. The story of Kim Phuc as told in her own words. During the Vietnam War, photographer Nick Ut captured the shocking photo of children running from a napalm blast. Kim was the centre of that photograph, with her naked body covered in severe burns. 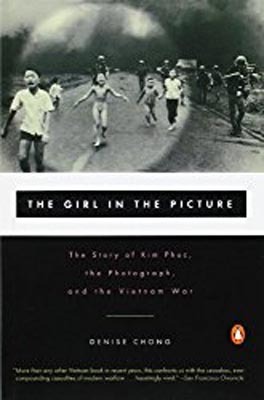 It became known as the photo of the century and she was known for decades as The Girl in the Picture. She tells her story of what happened next, and what a fascinating tale it is. She takes us to Vietnam, Cuba, and finally Canada. Joe Simpson recalls his harrowing climb of Siula Grande in the Peruvian Andes back in 1985 with Simon Yates. The book stands the test of time as Joe recalls the three days he spent trying to get down the mountain after a near fatal fall. Disaster struck after their summit when Joe fell into a crevasse and broke his leg (very badly). Left for dead, he made his way down the mountain while suffering unbearable pain from a crushed tibia, frostbite, and dehydration. This read will keep you on the edge of your seat. Definitely one of the best adventure books I have read. It was also made into a movie in 2003. Back in the day, I loved reading John Krakauer. Into the Wild was his first book and many people put this book on their best of lists, but I enjoyed Into Thin Air better. 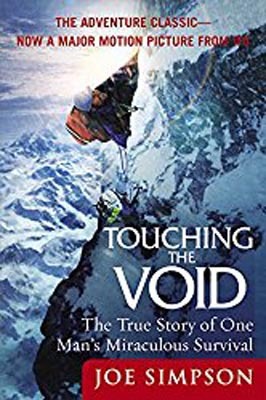 Maybe it's the adventurer in me, but reading about those who choose to summit Everest and understanding what it is like to go into the Death Zone is incredible. He recalls the fateful climb in 1996 where 8 people died. It delves into the mistakes that were made and the reasons people put their lives on the line to climb the world's highest mountain. We've been to Mount Everest Base Camp and it's exciting to read about a place that we've been and retrace steps through Namche Bazaar, the Tenboche Monks, and the Sherpa monuments to those who have fallen. It is a tragedy, but it is also a grand adventure. National Geographic Adventurer of the Year Alastair Humphreys has rounded up the world's most grand adventures to inspire you to try your own. He has inspired us on many levels. We first heard of Alastair while he was cycling around the world. We were cycling in the Tour d'Afrique from Cairo to Cape Town, and we were honoured when he asked us to share our story in his book! Alastair draws on his 15 years of adventures to share "encouragement, advice, and a polite kick up the backside to overcome a lack of time or money and life’s commitments" and to help you choose your adventure. He shares interviews from 100 other adventurers around the world, including yours truly! 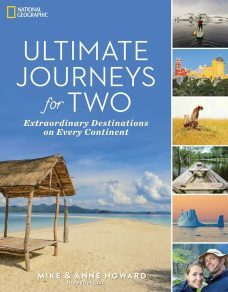 Ultimate Journeys for Two was written by our friends Mike and Anne Howard who are currently on the world's longest honeymoon. And you can find us in there too talking about Greenland travel! This book ggivespeople travel ideas to inspire couples to go out and see the world and have a great adventure. There are ideas for couples to travel on every continent! If you have a serious case of wanderlust buy this book by Patricia Schultz. I've taken my Sharpie Marker and gone through the destinations she recommends. 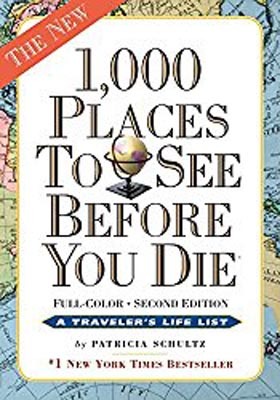 1,000 Places to See Before You Die is the world's best selling travel book. We are proud to say we've already visited quite a few recommendations, and she's inspired us to visit many more, like the Elmina Castle in Ghana and tracking the mountain gorilla in Uganda. I wish I had thought of this idea, but it's the original brainchild of the talented and wonderful Patricia Schultz. We first met Leigh while cycling from Cairo to Cape Town down the continent of Africa. She inspired us with her will and drive to push her limits each day. Now a successful travel blogger at Hike Bike Travel, Leigh keeps the adventure going as she treks across Canada, showcasing 100 inspiring outdoor adventures in our home and native land. 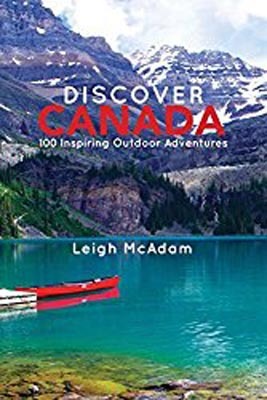 It was our honour to contribute to the foreword of Leigh's book and when we are looking for adventures to have in Canada, we check out this book. It's perfect for Canada's 150th celebration, happening all year long this 2017! 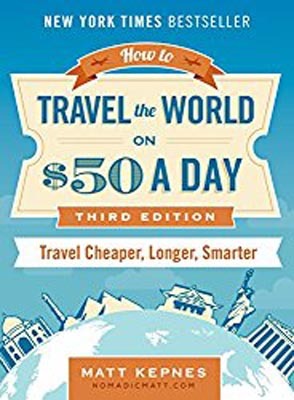 For the wannabe backpackers out there, this book offers advice on travel hacking and smart banking, along with tips and tricks to traveling the world while still enjoying some of the finer things in life. Nomadic Matt has parlayed his highly successful travel blog into a best selling travel book on the New York Time's best sellers list. With money saving tips on transportation, food, beverages, accommodation, and airline tickets, it's the how-to guide for twenty-something budget travellers. 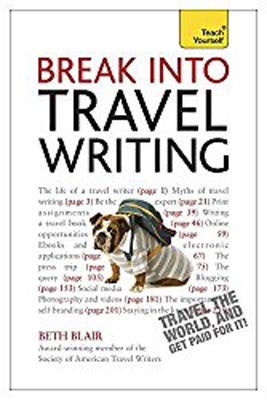 Want to break into travel writing? Well, our good friend Beth Blair has written a book to do just that. She provides specific advice for travel writing for magazines, travel guides, and travel books as well as information on blogging, social media, and websites. You will also see a few words of wisdom from Dave and I in there as well! 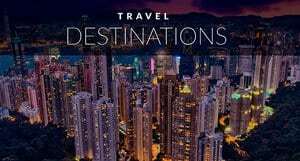 Not into reading about travel but want to be inspired? 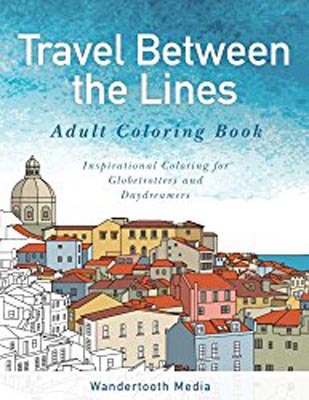 Adult colouring books are all the rage and travel colouring books have joined the fold. Katie and Geoff Matthews have put together illustrations from their own travel photographs that you can colour yourself. There is nothing more relaxing than sitting down and creating a piece of art. I look at colouring as a form of meditation. If you can't sit down and chant "Ohm," try grabbing a set of markers and daydreaming about far off destinations. So what would you add to the list of Best Travel Books? Did your favourite make our list? What books have given you the most travel inspiration? 65 Responses to "Travel Books to Inspire the Wanderer in You"
I can’t wait to read more of these books! Reading has always been one way that I keep my wanderlust alive and well. I was just searching for some good books which can take me into the world of wanderlust. As expected, you are on the internet with your awesome experience. I would love to read all of them. 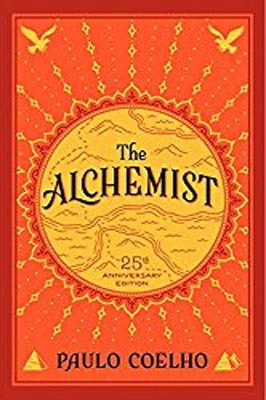 The Alchemist I have done and I am approaching other ones from now onwards. Thanks for sharing this post. Michael Palin’s Pole to Pole and Levison Woods Walking the Himalayas! The only book in this list that I have read (partly) is Eat Pray Love but I also didn’t love it! 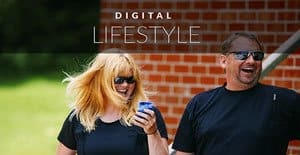 I was actually in Bali when I started it and it just didn’t grab me, but I’ll definitely be trying out some others on this list! A good book on holiday can do wonders! I hope to get my hands on Eat, Pray, Love soon. It must be a great read coz it’s on every travel books list. Wonderful collection. I was in deep search. Thanks a lot to write about these books. Thanks, Actually I am searching these collection from so many times. Great !! Thanks for sharing. I was actually not aware about Michael Crichton’s book. Great list of books, I better start reading. Lot’s of new books for me to add to my list! Thank you! I loved In A Sunburned Country, I consider it one of my favourite travel books and it definitely encouraged me to travel to Australia where I am now! Thanks, guys some great books there. Think I need to get my hands on Dave does Japan. I am hoping to visit next year. My all time favourite travel book that I never seen included on any lists is called WorldWalk by Steven Newman. In his early 20s, over a period of 4 years, Steven walked around the world relying on the kindness of strangers. This was the mid-1980s well before the time of internet and mobile phones being common place. His book is inspirational and entertaining and eye-opening all at once. I can’t recommend it enough. An amazing list of books. I watched the film Eat Pray Love (starring Julia Roberts, maybe) but never took the time to read the book. THis list inspired me. I think one books may be worth adding is Vagabonding. I just want to say “wow” you have an amazing collection of books. I was looking for a list like this! I just finished reading a series of books for foodies and Eat Pray Love was one of them. Thanks for sharing yours! 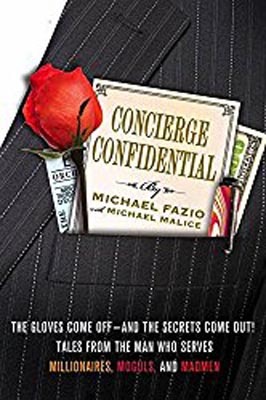 Concierge Confidential seems like an interesting read. i have planning to travel 2or3 places.i read this article.it is very helpful it provide great ideas.amazing article thanks for sharing. Great recommendations! Some of it are already on my list. I just pick some great additions on my list. Thanks! 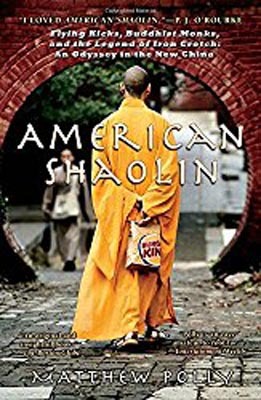 I think i watched the movie American Shaolin like 20 years ago. I didn’t know it was from a book. Gonna check it for sure. 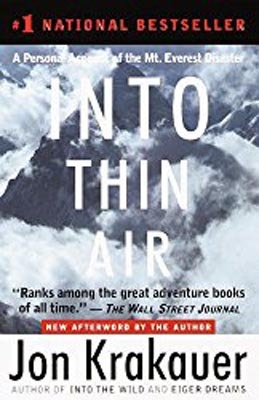 I really love “Into Thin Air” by Jon Krakauer as well as his other book “Into the Wild”, The book and Sean Penn movie are amazing. For something hot off the press, check out Oblivious; the story of a ride through Africa on a Royal Enfield. 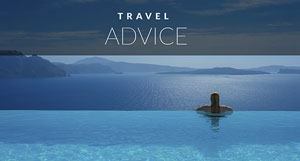 I read eat pray love that is totally awesome and every traveler must read. Now I am going to add The Alchemist and American Shaolin in my bucket list. I was searching for best travel books ad I found this. I have only Paulo Coelho from this list and i am definitely going to get myself a few. Thanks for the wonderful list. Really useful. This is a great list – most of these I’ve not read so my reading list has just grown! A Long Way Gone is one book, though, that has been on my shelf for years – I’m a bit afraid to read it…. Whenever I enter a bookstore, I always look for books pertaining travel, whether they are memoirs or a compilation of essays. I also made a post about these books that I have in my shelf. I can spot three of them here in your list. I’m interested in the other books you have cited here and I hope to get my own copies. 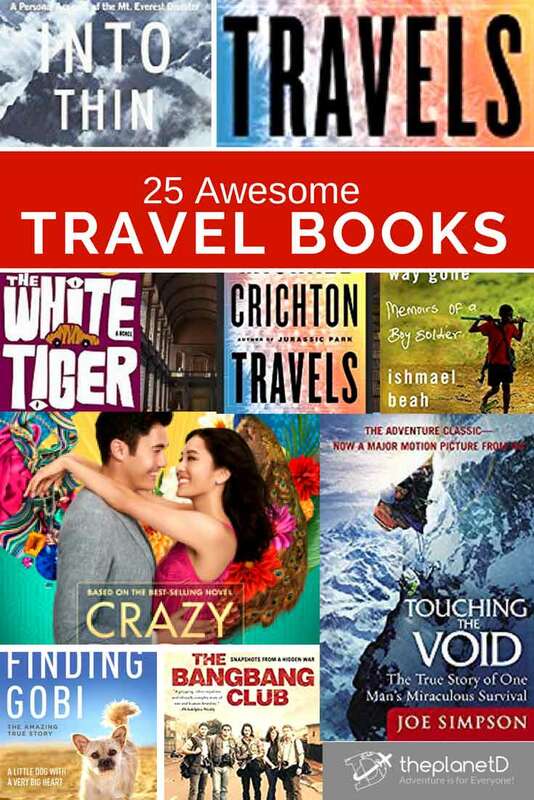 I am so happy to read this blog about 21 travel book. it is so much interesting and helpful for every person of the world who travel form one place to another. Canada is consider most visited place in the world. So Hamilton Airport Limo service is well known for Ground transportation medium to or from airport. This is a great list… there’s also a lot of great poetry (Heights of Machu Picchu- Neruda) and Siddhartha by Herman Hesse really had me thinking Southeast Asia big time! Great post, guys! All of these traveling books look amazing, especially if you’re on a long journey or waiting for your ride and need to kill time! Thank you for sharing these. I’m ashamed to admit that, of these, I’ve only read The Alchemist – although White Tiger is sitting waiting patiently on my bookshelf. I do like to read books about / set in places I’m going to travel to, though. One of the best examples was before I went to Kansas last summer, I read all of the Little House on the Prairie books, and it actually really opened up the history of the area for me, and helped me to understand the formation of the state, and why it looks & is the way it is. I’m currently reading Alain de Botton’s The Art of Travel, and it’s really making me think about how I write about my own travels, and how I tie together my travel blogging with my other writing (poetry & fiction). All of Bill Bryson’s travel books make me want to just get off the couch and just go (and record my travels with dry wit and sarcasm), but aside from Bryson’s Road to Little Dribbling, I think my other favorite travel read of the last year was Mo Willems’ You Can Never Find a Rickshaw When it Monsoons: The World on One Cartoon a Day. Not only does one cartoon a day actually create a bizarrely interesting read, but it makes you start noticing the little moments that make your day. I also enjoyed Storybook Travels by Colleen Dunn Bates and Susan La Tempa. It’s a great book for parents traveling with children! Great recommendations! I can’t wait to check a few of these titles out! I’m saving this post in Bloglovin’ for as a future shopping reference, haha. I’ve gone through all my books and need more reading material. Thanks so much for sharing! I own and have already read Nomadic Matt’s book. It was super helpful! I agree – I loved White Tiger and couldn’t put it down. I read about five or six of the “must reads” that were popular for India travelers at the time and White Tiger and Shantaram were tops! I have to read Shantaram. I can’t believe I hadn’t heard of it before writing this post. That is what I love about posts like this, you can learn so much from other people. White Tiger by Aravind Adiga is really cool and also Travels by Michael Crichton…great list D&D! .-= agentcikay´s last blog ..Hokkien Mee and its Cult status =-. Thanks. I am glad that someone else has read travels. When we tell people that Michael Chricton had a travel book they think we are mistaken. But it is very good. Hahaha, I am laughing because the two books I can’t stand about India are The White Tiger and Shantaram — and both are mentioned here, in your post and in the comments. I have read a lot of books about India and I think there are far better books, more balanced, more insightful, more honest. I find these two blow a lot of hot air. I think there is a kind of reactionary response to the “shining” India of economists or the “magical” India of travel writers and spiritual seekers. In fact, India — like life — is all of these things. Magical, poor, spiritual, dirty, friendly, nerve-wracking. A lot depends on your perspective, attitude and perception. Well, we will agree to disagree on this subject. We enjoyed many parts of India and made friends with many wonderful people, but a book that talks about the negatives of any country is important. That is how change is made. The poor need a voice and White Tiger gives them one in a very entertaining way to let people know their side of the story. I would love to know the books that are more balanced and insightful, it would be great if you could list a couple of recommendations and I will check them out. And your Star Wars quote (while very profound) has nothing to do with the book and the point we are making. White Tiger is about the people that are living in India, not about what a tourist is supposed to get out of their spiritual journey to India. Thanks for your comment Mariellen, I know that you love India and this recommendation isn’t meant to offend people that do, it is just a book that we felt hit the nail on the head of a lot of what we saw and read in the papers while we were there. I’m glad you replied to this Dave, the post made me feel stupid and ignorant when I first read it, but then I thought about it more and my point still stands – I read the book and it made me want to go to India. I will stand with the agreement to disagree – Shantaram is a work of fiction, which is a story with hints of lives and attitudes in India, but through extreme views. It’s like saying you’d never go to Virginia because of Patricia Cornwell’s books. If I wanted earnest travel writing with a true anthropological view, I’d have gone to the travel writing or the history section. Perhaps it’s even more impressive that a work of fiction can open your mind to a country. I get a better view of what it’s really like from Indian friends, but I’m also a literature fan and have many influences in my travel life. I’m currently struggling through Open Veins of Latin America, which is a socio-historic view of the region, before travelling out to Costa Rica later this year. It’s very worthy and I would really like to understand more of the politics, history and culture before I go but I’m highly unlikely to finish it as history presented in fact is rarely inspirational and certainly more difficult to absorb. My partner bought me Costa Rica: A Traveller’s Literary Companion, which is a series of local, translated short stories and folklore. I’ve whizzed through it because it was enjoyable and accessible – far more inspiring than the worthier tome that will give me a ‘better’ view. Sorry to rant – apparently I feel quite strongly about this! Thanks for the comment and don’t be sorry at all. That is what we love about blogging, it encourages discussion. I think that your point is bang on. Books of extremes can make me want to go the a country even more. The Bang Bang Club is very unforgiving and yet, I think that it inspires people to go to South Africa. I read it while I was there and loved it even though it didn’t portray the country is a perfect light. I guess, a lot of the books we mentioned don’t paint a pretty picture of any country, but they all have inspired us to explore them more. And you are right, this is a book of fiction and it is impressive that a book can open your mind to a country and evoke such strong feelings on either side of the coin. That makes for great writing I think, when people feel passionate about it either way…absolutely loving it, or genuinely hating it. Shantaram is also a very inspiring picture of India. Bittersweet, laugh out loud, exciting book. I’d never wanted to visit before reading this, now it’s definitely on my list. Laura, I will definitely have to check out Shantaram thanks for the recommendation. Oops, I replied to Trisha on the wrong post, that is supposed to be on Celebrities that inspire travel post. Taking it off now, but didn’t want you to think that I was a crazy person and going off on a tangent regarding celebrities:) Sorry Laura. I must say it did confuse me!